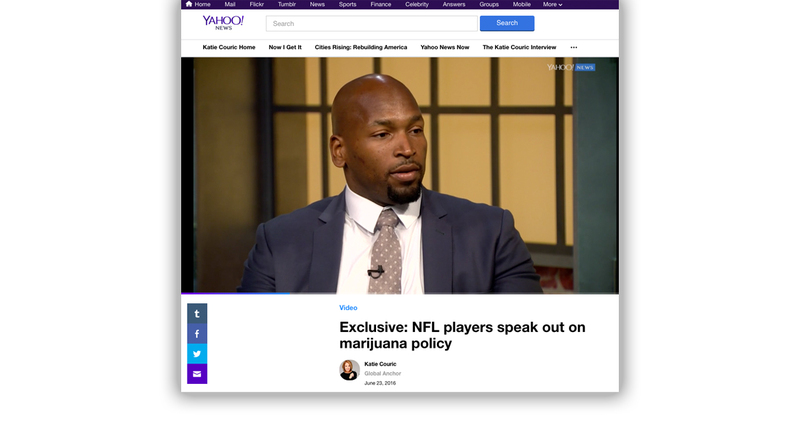 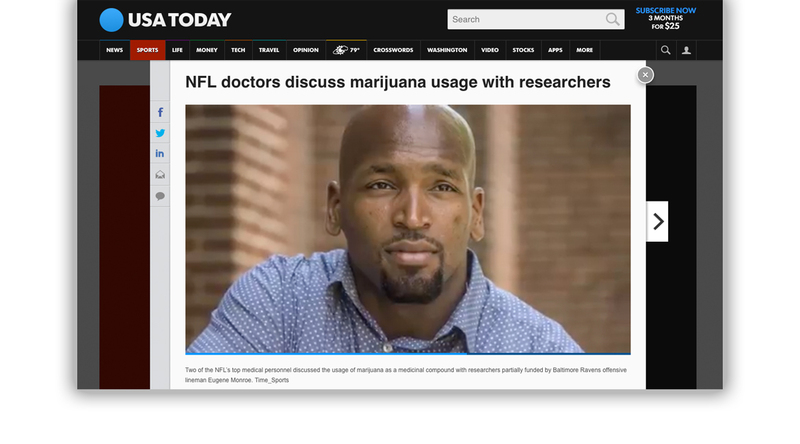 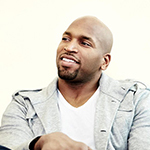 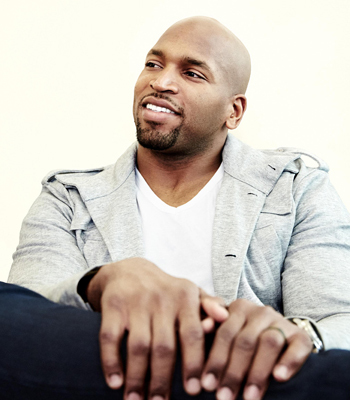 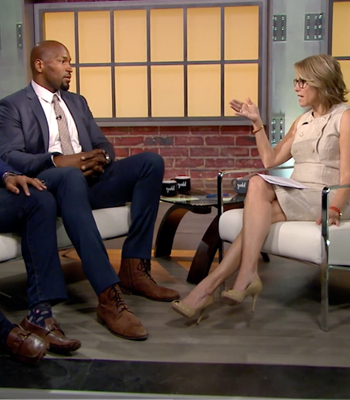 Eugene Monroe hired BIGfish to announce his advocacy for medical marijuana as an alternative to opioids for chronic pain management. 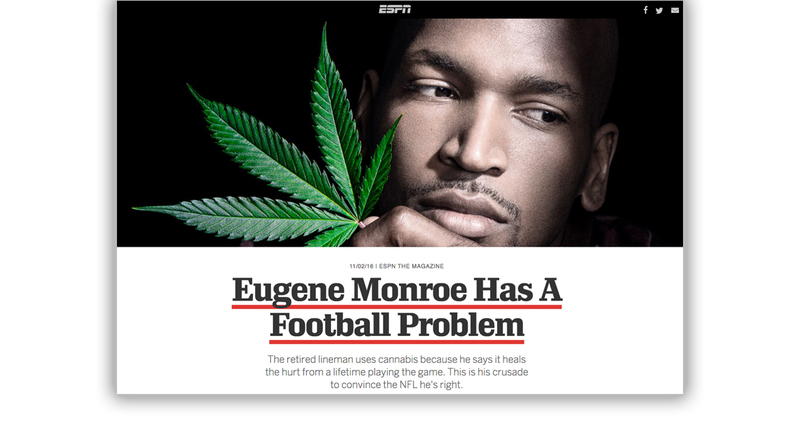 As the first active NFL player to openly advocate for this issue, Eugene looked to BIGfish to position his mission and ensure he was established as a credible source on a controversial, often misunderstood topic. 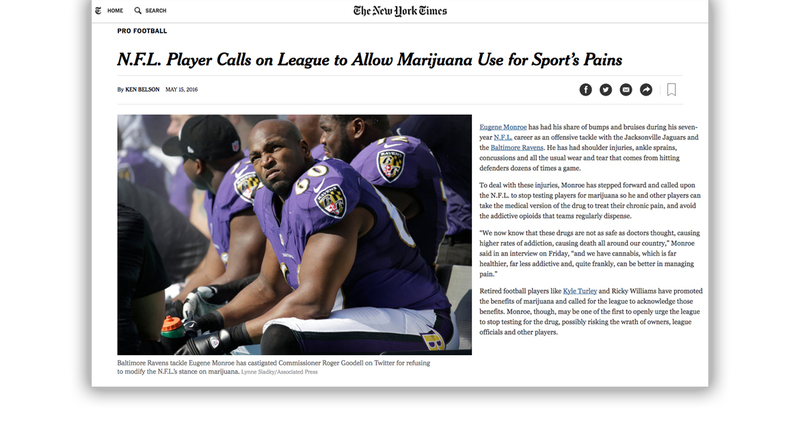 With these assets in hand, we began executing our public relations and social media strategy, securing an initial story in The Player’s Tribune where we could take complete control of how the story was told. 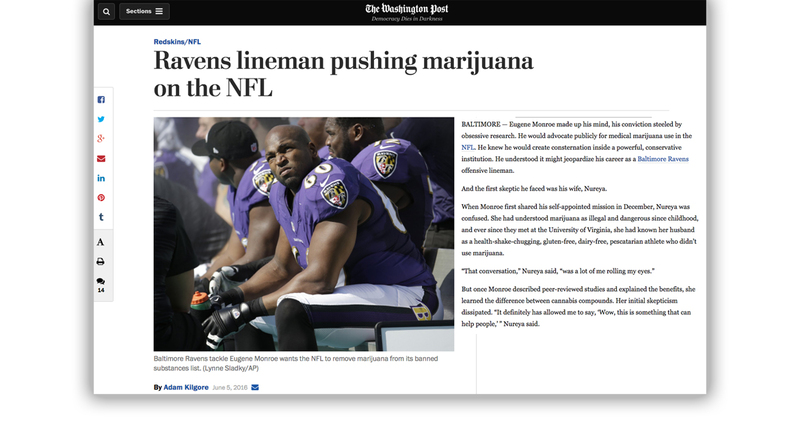 Over the following 30 days, the BIGfish team secured 178 articles for over 520 million impressions. 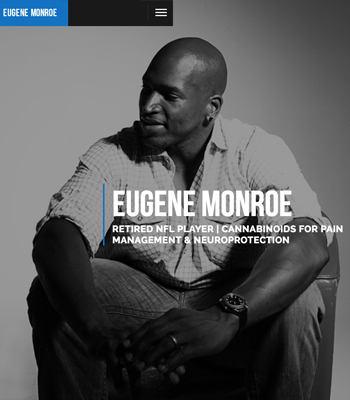 We also helped Eugene announce his retirement in June 2016 and continue to drive PR and social media efforts around his cause. 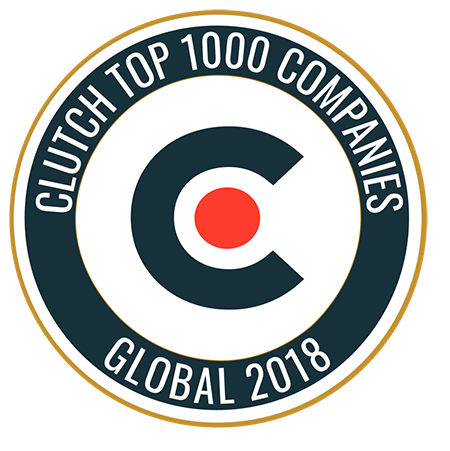 Wow is all I can say about working with this agency. 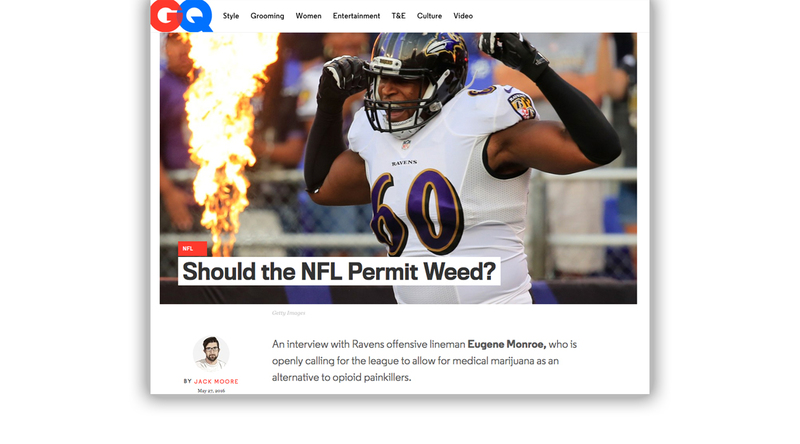 BIGfish built and executed a brilliant PR campaign. 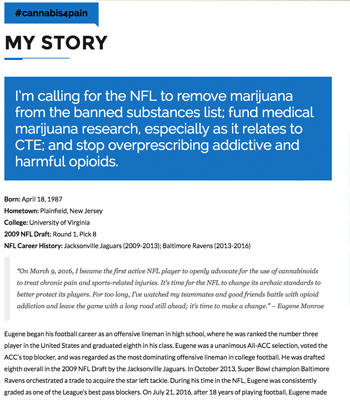 Nothing was left to chance.  They coached me through every twist and turn of the campaign and in the end we achieved national attention with media coverage in most of the major broadcast networks, newspapers, magazines, websites and podcasts. 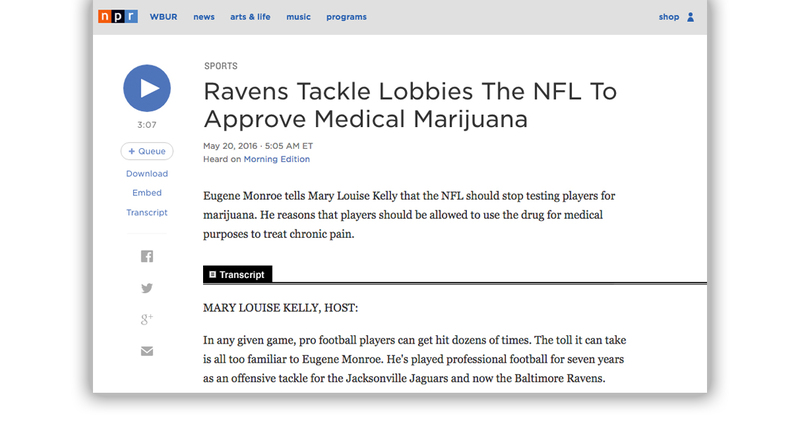 I can’t say enough good things about this PR firm. 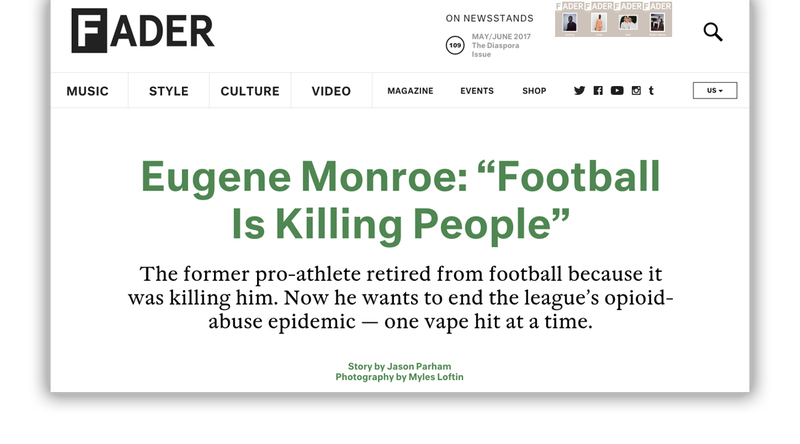 Today, Eugene is regarded not only as the first NFL player to openly speak out about this issue, but also as a leading medical marijuana advocate and one of the most knowledgeable and well-respected people on the topic.